Commercial Cleaning in Brisbane – Get The Best Office Cleaning Team On Your Side! At Dom Care Cleaning, customer satisfaction is our number-one priority. 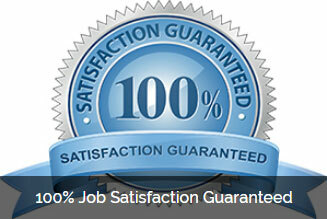 We are an owner-operated company offering quality cleaning work that is guaranteed. When scheduling your regular cleaning, deep cleaning or moving and bond cleaning we offer times that are convenient for you, and guarantee that our service will start at the time we promised it would. We not only do the job right, but we also do it on time. No job is too small or too large, or too complicated. Whether your work is a Brisbane office, commercial business or office building that needs to be cleaned, hiring a professional cleaning company is your best option for top of the line services and optimal results at a very affordable price. There is always a lot of work to be done in the office. If it not part of your job description, the labour of cleaning and maintenance should not fall on your shoulders especially if you have a business to operate. If you hire a single office space or have an office building, we offer all the necessary office cleaning services to ensure your work environment is clean, safe and healthy. Commercial Office Cleaning: Why Should I Hire a Professional? In Brisbane today, we are living in an era of busy schedules and multitasking work environments. If it is not part of your profession, it can be easy to neglect or forget to focus on the office cleaning and maintenance. A clean workplace tends to boost morale. Aside from looking neat; decluttering, disinfecting and maintaining cleanliness helps creates a sense of balance and the satisfaction of knowing all materials are in their place so your staff can easily navigate themselves. There are also a number of occupational health and safety concerns and benefits. Many of Brisbane workforce spend a lot of time at work, and often work indoors, so reducing dust, dirt, food scraps and mould or plaque build-up is in your best interests. A clean work station means no unpleasant smells, no attracting pests or bugs and all your staff having clear air to breath. Clean carpets and floors are important for safety and health, especially in a fast paced environment, trips and falls over rubbish is never part of the agenda. Finally, the costs, time and effort for a proper, deep clean, dealing with accidents or replacement rugs and carpets due to neglect is an unnecessary financial burden no business needs when professional cleaners can regularly take care of commercial cleaning for a fraction of the cost. You should be able to focus on running your business without extra hassle. Contact Dom Care Cleaning for all your commercial and office cleaning needs. We are an experienced cleaning company who will work according to your business requirements, and can offer comprehensive cleaning outside of your working hours so as not to disturb your business. For non-emergencies, you can call us seven days a week from 8AM until 8PM. Emergency services are available 24/7. If you need additional information or have any questions, feel free to contact us at 0411 069 938, or email us at domcare_clean@hotmail.com. Fill out our online enquiry form for an even faster reply.